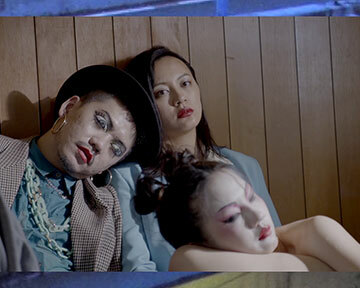 Su Hui-Yu is interested in the connections between media, pop culture, Taiwan's post colonial history and everyday life. Themes present in his work deal with violence, dreaming, body politics, martial law memories and the interplay between reality and fantasy. His videos and installations have been shown in Taipei Fine Arts Museum, National Taiwan Museum of Fine Arts, MOCA Taipei, San Jose Museum of Art in California, Herbert F. Johnson Museum of Art (Cornell University), Museo Jumex in Mexico City and Power Station of Art in Shanghai.